Für die fünfte „Das ist Netzpolitik!“-Konferenz, die am 21. September erstmals den ganzen Tag über in der Berliner Volksbühne stattfinden wird, hat der Vorverkauf begonnen. Das diesjährige Motto lautet „inform | defend | attack“. Die Tickets gibt es bei der Volksbühne für zwanzig Tacken und ermäßigt für zehn. Wer mehr zahlen will, kann das auch gern tun und unterstützt damit die Arbeit von netzpolitik.org. Dort stehen auch die Details zur Ticketsituation. Der Call for Papers ist übrigens noch offen: Wer sich mit einem Beitrag einbringen möchte, kann das also noch tun. Das Schöne ist: Es gibt keine Deadline für den Call, gerüchteweise soll er bis Ende Juli laufen (ohne Gewähr). Traditionell gibt es abends auch was zu feiern: Der 14. Geburtstag von netzpolitik.org wird mit einer ordentlichen Sause begangen. Und das Beste: Im Ticketpreis ist die Party mit drin! 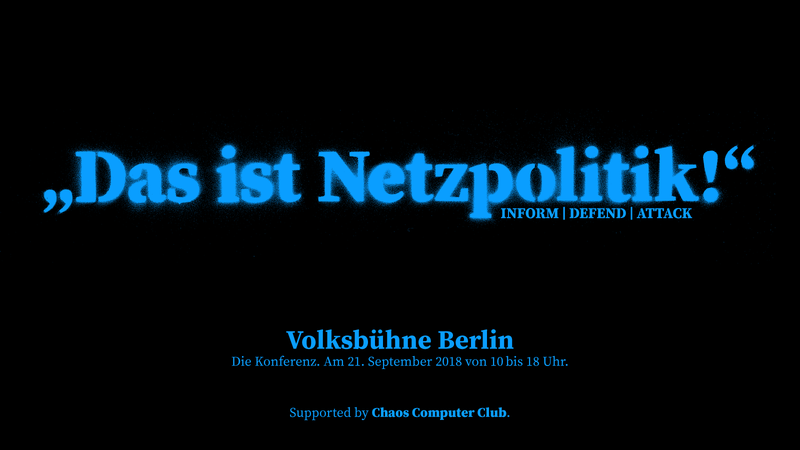 Der Chaos Computer Club unterstützt die „Das ist Netzpolitik!“-Konferenz ideell, prinzipiell, kulturell, intellektuell, kontextuell und finanziell. The CCC calls for participation and your submissions! December 27th through 30th 2017, Leipziger Exhibition Grounds in Leipzig. Es gibt eine deutsche Version dieses Aufrufs. The Chaos Communication Congress is the Chaos Computer Club’s (CCC) annual symposium and hacker party. 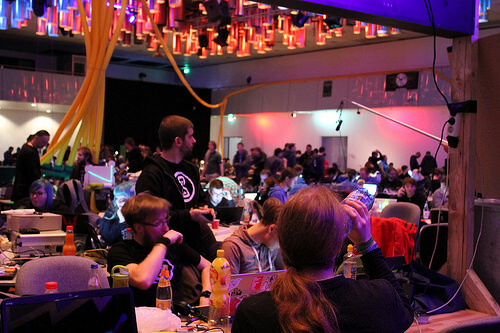 During four days between Christmas and New Years Eve, thousands of hackers, technology freaks, artists, and utopians get together in Leipzig to communicate, learn from each other, and party together. 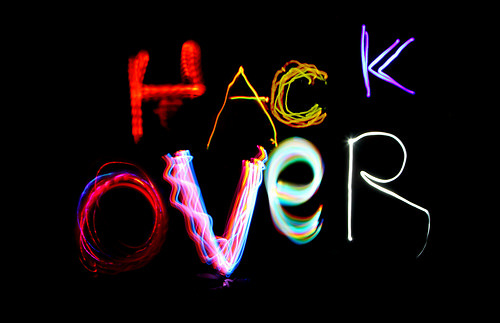 We focus on topics such as information technology, networks, digital security, making, and breaking. We engage in creative, sceptical discourse on the interaction between technology and society. Apart from the official conference program, the Chaos Communication Congress also offers space for community assemblies, developer and project meetings, art installations, lightning talks, and workshops. 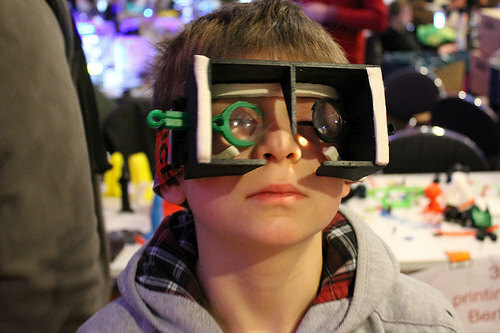 We also have special places for kids to learn and tinker. This track awaits submissions that address, from an artistic perspective or with artistic means, the societal changes and contradictions caused by computers, the internet, robots, and general digitalization. One can create art and beauty with computers: We’re also open to lectures that include art installations, performances, concerts, readings, etc., that involve past, contemporary, or upcoming technologies. We will try to help with the organizational side of such lectures as much as possible. We’re looking forward to submissions which address present and future societal, ethical, and political questions that arise from the technologization and digitization of all aspects of life. What will the future bring? Which commercial and political interests are in the way of an utopia worth living, and how can they be overcome? Any activistic, fantastical, solidary, and commerce-free ideas and concepts are welcome here. This track is all about developing and creatively using things that allow the digital to make a physical impression. The focus is on creating things of all kinds of (e. g. textiles, musical instruments, robots, alternative energy, medical tools, etc. ), the expansion, repair, and liberation of proprietary systems (from the decapped smart-card to the firmware of your toaster to a modified agricultural machine), the sovereign use of technology, getting your hands dirty, and all the things we can’t imagine yet – and of course rockets! For this track we would like to request submissions that show how hardware and software can be made either more secure or less secure. If you want to share your discoveries with thousands of fellow security enthusiasts, if you have developed new solutions to previously unsolved problems, or if you have found new problems which we knew nothing about, then this is the right track for you. The rapid development of science and technology is steadily changing our view of the world. But that doesn’t only mean that we’re profiting from new technology as a byproduct. We are also increasingly trying to understand the complex relationship between nature and society, in order to comprehend how our actions parameterize this whole system. We see science as a method of reverse engineering the world API and are interested in the newest diffs. No matter whether research centres, universities, or garage-driven science: If you explore and evaluate interesting and important developments from a scientific standpoint, then send us your submissions! This year we’re especially interested in submissions regarding the phenomenon of climate change in its whole width and complexity. We are interested in everything from sociocultural effects to frost-resistant measurement technology, from the past to the near future, from the depth of the oceans up to the atmosphere. What are the actual effects of the technical and societal systems we have built? What will be the next Dieselgate, and which active approaches towards solving the problems are there? The world is developing at an increasing pace, and most of it involves computers and algorithms. Unfortunately, those developments do not necessarily equal progress. Some increase complexity; others require waiving freedoms. 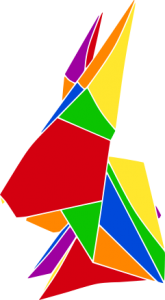 But many projects already incorporate recent research, like p2p gossipping networks (meaning less data accumulates at central points as everyone runs their own infrastructure), extended OS security (reducing persistence, new policies, virtualisation), or reorganised social frameworks intended to simplify life (by eliminating bureaucracy and sources of stress), and, of course, reduction of our dependency on human competition. In the resilience track all submissions are welcome that lead to a world more worthy of living in – be they long-running projects or recent developments. In addition to the content tracks you know from previous years, we now ask you to rate your submission by dynamic tags we call „classifiers“. Those help your reviewers and your audience to better understand the content and what your audience can expect. If, for example, your topics cover both hardware and security, you now can show us on a scale between 0 and 100 percent – making the classic „tracks“ much more fluid. You can also tell us what level of prior knowledge you expect your audience to bring. Got something interesting to say but don’t want to submit a full talk? Consider doing a lightning talk instead. You will have five minutes to present your idea or project, or to do a rant. A formal submission through our conference system (frab) is not required; as usual, the lightning talks are organized via the public wiki. Lightning talks can be held in German or English and will be streamed, recorded and published (see below). Assemblies are places where communities around a certain interest can meet, talk, exchange ideas and be inspired. Assemblies play a huge part in creating the special “congress atmosphere.” We will have lots of space, so some bigger installations will be possible. 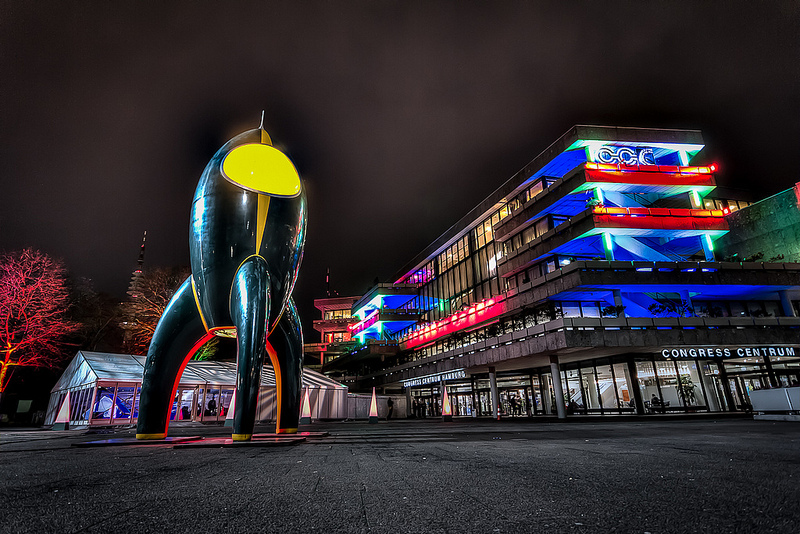 To further the exchange and the get-together of communities and groups, we will cluster the assemblies at the 34C3 along key subjects. We will link these key subjects to bigger workshop areas, stages, or auditoriums which will be available for the assemblies connected to the subject for workshops, self-organized sessions or after talks discussion. You and your community are interested in adopting a key subject, or your established assembly wants to take care of more space? Then write an email to c3-assemblies(at)lists.ccc.de and join the effort to create a great congress. Installations with up to 30m² big roofs are possible! The usual application for assemblies will happen in due time at the public wiki. A formal submission through frab is not required. There will be a wiki page to keep track of requirements for space and other resources. Simply start already considering now what you would like to make, bring, or show, and write it down once the wiki goes online. We are open to crazy and surprising stuff. As it is likely that there will be multiple submissions on the same topic, please show us exactly why your talk should be part of the conference. Remember that the teams are diversely staffed, and not every reviewer knows every submitter and their background. Please write something about yourself, your research, and your motivation. It does not matter if the talk has been held at another conference somewhere on this planet, as long as it is up to date and relevant. Talks should be either 45 minutes long plus 15 minutes for questions and answers or 20 minutes long plus 10 minutes for questions and answers. Longer slots are possible in principle. Please tell us the proposed length of your talk at the time of submission. Note: As German law (and therefore the license) might differ from the law of your country, please let us know if you have any issues or questions regarding the exact implications. Unfortunately, we can’t guarantee a perfect translation. The Chaos Communication Congress is a non-commercial event where neither the organisers nor the speakers are being paid. As a speaker, though, you get free admission. If necessary, we are able to provide limited support for travel costs. If you need help applying for a visa, such as an official invitation to present to a German embassy, please let the content team know well in advance. Please be aware that the visa application procedure may take up to six weeks. December 27th – 30th, 2017: Chaos Communication Congress. Simply follow the instructions there. 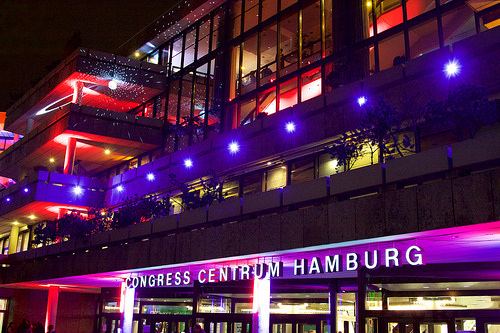 If you have any questions regarding the submission, you are welcome to contact us via mail at 34c3-content(at)cccv.de. Pictures taken at 31C3, FOSSASIA, CC BY 2.0. Datenspuren: Call for Papers endet sehr bald! Für die dreizehnte Ausgabe der Datenspuren endet die Einreichungsfrist für Vorträge und Workshops schon in wenigen Tagen, nämlich am 4. September. Wir wollen dazu eure Beiträge für die Diskussion einer schwer vernetzten Zukunft, denn Datenschutz und Privatsphäre bleiben wichtige Themen. Die Veranstaltung findet am 22. und 23. Oktober 2016 in den Technischen Sammlungen Dresden statt. Mit freiem Eintritt sind die Datenspuren eine der wenigen Chaosveranstaltungen die sich auch an die generelle Bevölkerung richten. Darüberhinaus werden die interessanten Ausstellungen im Veranstaltungsgebäude an diesem Wochenende ebenfalls kostenlos zu besuchen sein.